As response to State Grid Corporation of China’s call for supplier for OVERHEAD LINE OF 500 KV Pingdingshan Coal Power Plant to Zhengzhou, Henan, we participated this transmission line renewal project. Following this further works were required to maintain the line such as replacing cable and accessories over 110km. We acted as material supplier. Lightning arresters And hardware for towers ChallengesThe line was built in 1990s. 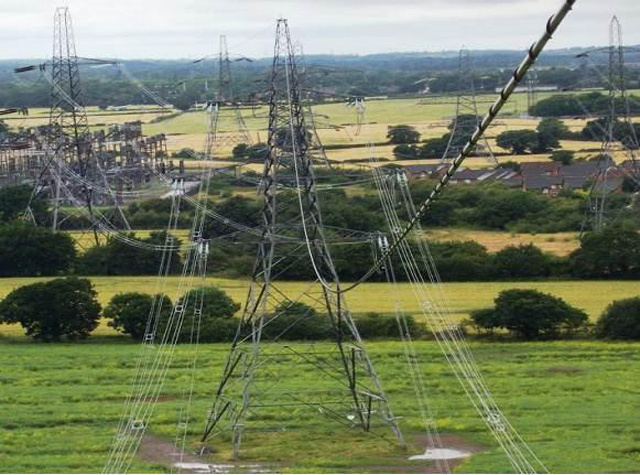 And this was the first time that we dealt with full line of this type had been replaced to the required extent on a 400kV route, which was also to remain in-situ. If required it was to be returned to the client for full operation in an emergency within seven days for one route and four days for the other.Due to the integrity of the line, the pre-construction phase was reduced from a typical 18-month period to eight months to meet the delivery milestone. This presented its own challenges including a reduced survey timescale, which makes the feasibility study, program analysis in a short time, and also requires more efficiency on our technical and sales team and higher production standards.